The Alexander at 16353 Dawnwood Court offers 3511 sqft of living space w/ 5 Bedrooms, 4 Baths, Formal Dining Room, Study, Kitchen/Cafe, Family Room, Game Room, Loft and Extended Covered Patio. The Alexander will be 100% ENERGY STAR upon completion and 15-30% more energy efficient than a newly built code home. Ready for move-in January 30th! Interior appointments include: * Ceramic Tile at Foyer, Gallery, Kitchen, Cafe, Family Room, Laundry and all Bathrooms * Gourmet Kitchen Upgrade * 42" Kitchen Cabinets w/ Granite Kitchen Countertops * GE Stainless Steel Appliances w/ Microwave vented to the exterior * GE Stainless Side by Side Refrigerator * Crown Molding in Main Living Areas * 10' Ceilings 1st Floor * Structured Home Wiring Package * And more! The energy-efficient features included with this plan: * ENERGY STAR® Certified Home-ask about our $5,000.00 guarantee * ENERGY STAR® Dishwasher * ENERGY STAR® Vinyl windows w/ Argon Gas Fill Low-E Glass * Programmable Thermostat * 2x6 exterior walls w/ R-21 Insulation * Open cell spray foam insulation * CFL Lighting and Fixtures Click here to view more including the floor plan! 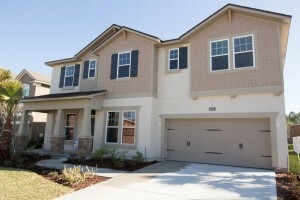 This home is located in Yellow Bluff Landing at 16353 Dawnwood Court Jacksonville, Florida 32218. Ask about our current incentive, we'll pay up to 3% towards closing costs and pre-paids on all Quick Delivery Homes with use of our Preferred lender. . Call Melissa Matthews at 904-337-5236 for more details. Providence Homes is Jacksonville, Florida’s hometown builder. 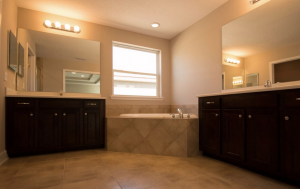 As one of the area’s largest locally owned home builders, we are committed to building beautifully designed, 100% Energy Star certified homes at an affordable price. No matter which neighborhood you choose in Clay, Duval, or St. Johns County, Providence Homes has been a name families can trust as a Jacksonville new home builder for more than 20 years. Visit providencehomesinc.com for more information.